I have more outfits, with not as much effort put into them but they still look nice! 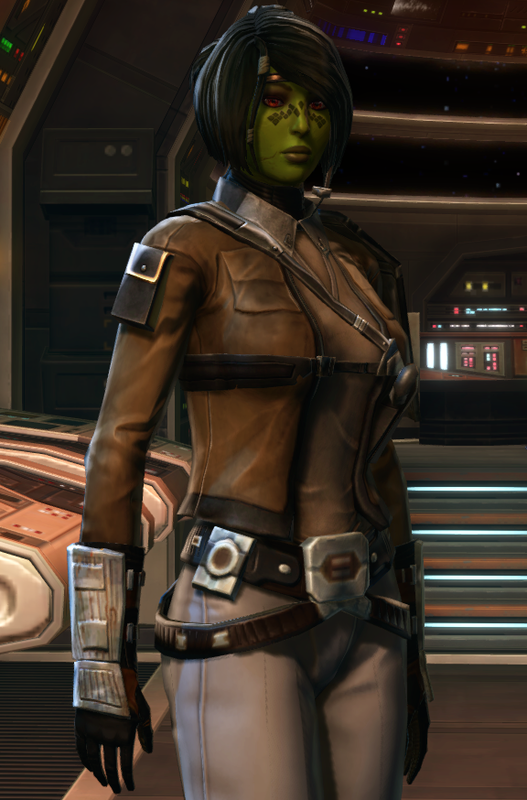 This is my newest Jedi, Master Decilian Ansara, an aging veteran of the first war and loremaster of the now-defunct (aka firebombed violently) Kamparas Academy council who's been trying to bring her fallen love back to the light side for decades. The two outfits with opposing colour schemes nicely symbolizes the duality between the selfless Jedi personality she presents to others and the secret forbidden desire to bring her love back on the inside, but really that was just coincidental and I made them because they look cool lol. 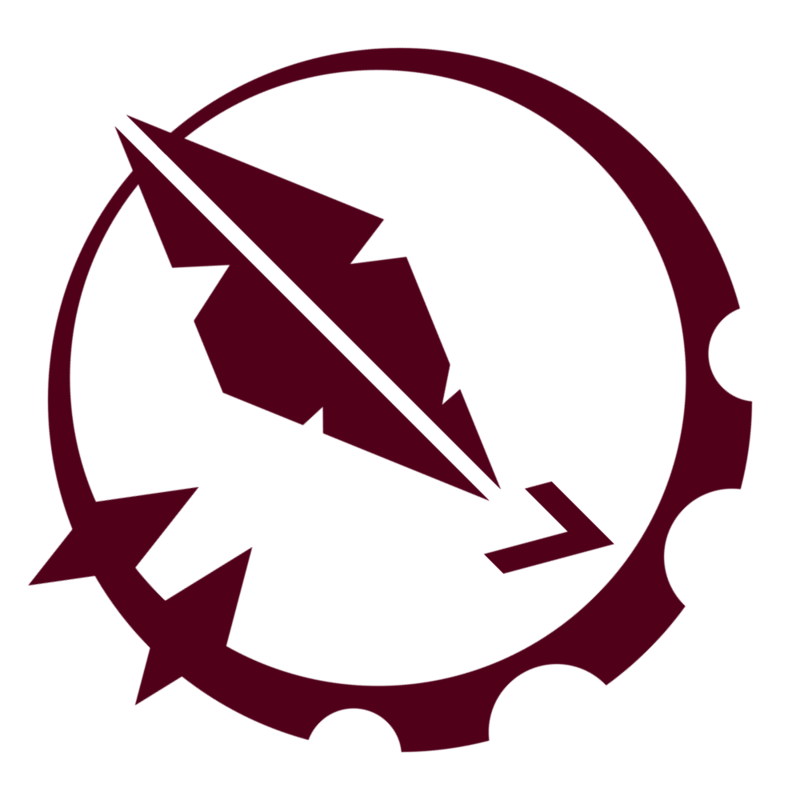 Another Jedi, this time a veteran Shadow. 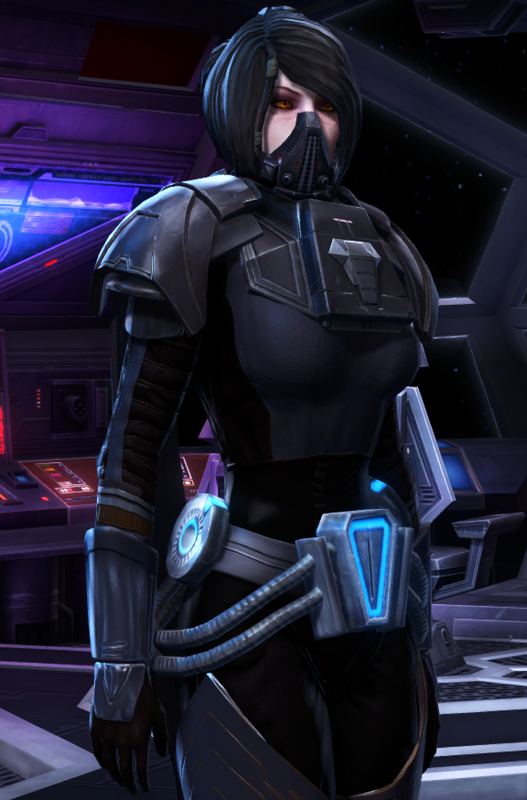 I see this outfit on a lot of Jedi NPCs in military contexts, specifically on some of the bosses/trash on the Boarding Mission flashpoint, and I thought the skintight design seemed fitting for a flexible sneaky shadow lol. The colour also matches her blindfold a bit which is nice. 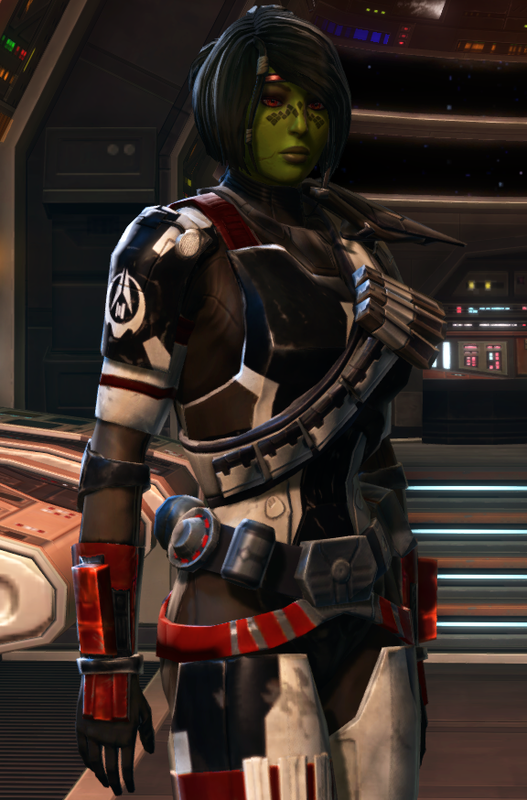 This is Zoe, a relatively quiet and down to earth Republic Army SpecForce trooper who is basically a foil in every way to my more zealous Marine Raider trooper. 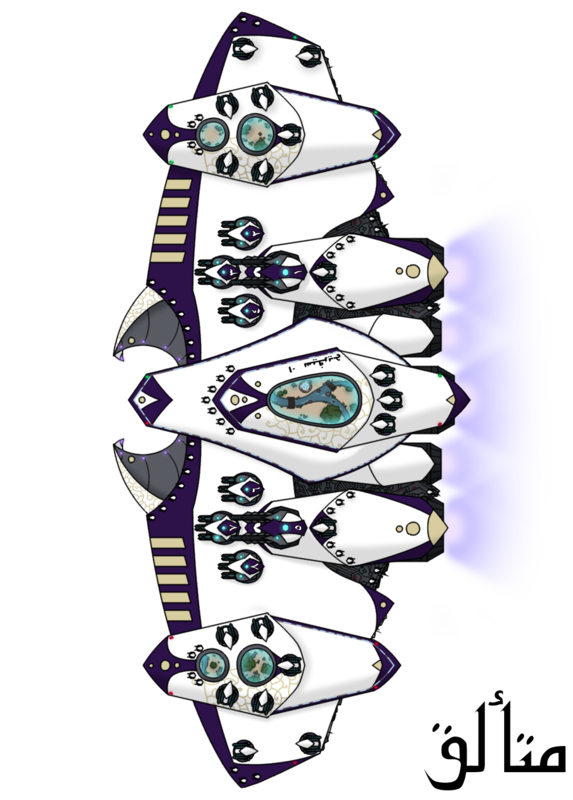 She distrusts the SIS, cares more about morals than orders, and doesn't follow mirialan customs or spiritualism very strongly beyond tattoos, plus her red and black armour is the exact opposite of blue and white. The non-armour outfit is a nice off-duty attire I found which still feels military-ish but without explicitly saying so like a dress uniform would. 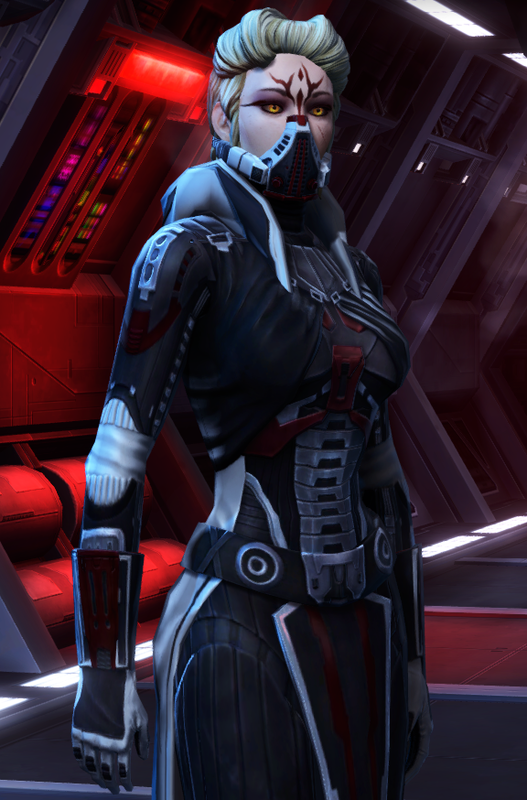 Some idiot listed Thana Vash's armour set for 9,000 credits on the GTN, so I bought it and unlocked it in collections and now it's my go-to dress for all apprentices in the Crimson Host lol. 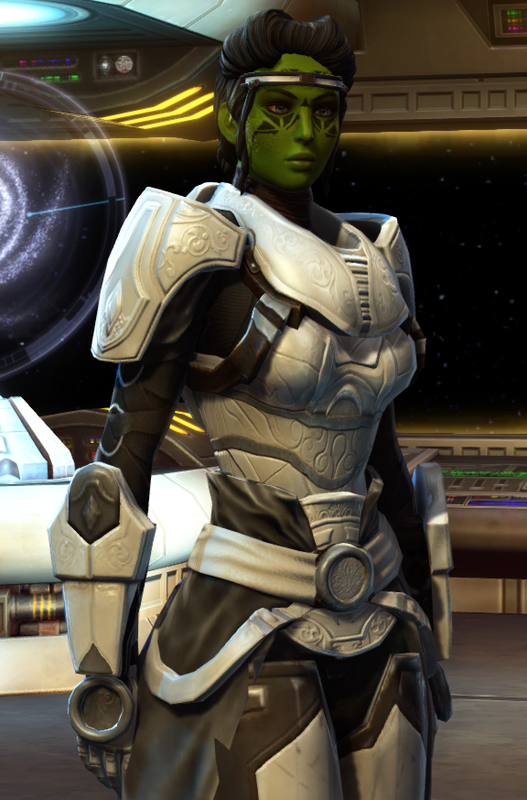 It is the cutest thing, especially combined with a cute Darth Tyria-approved new hairstyle and a red/white dye. 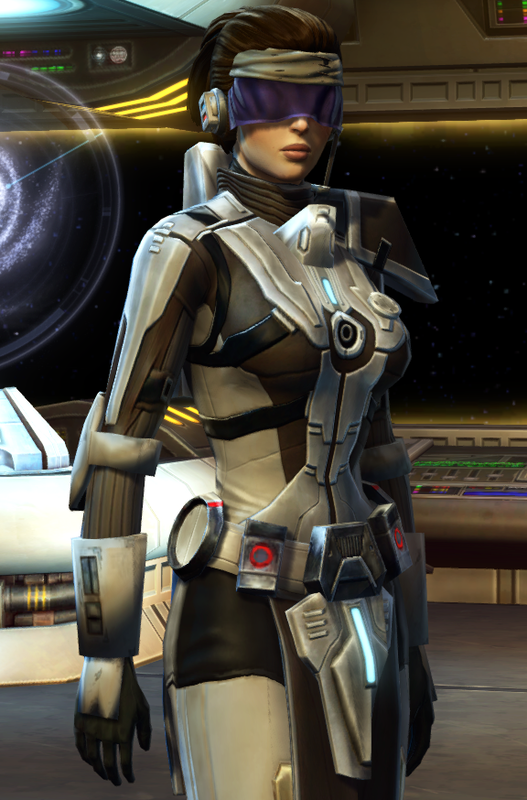 And last is my main Sith, who just got a new hairstyle after nearly 5 years! 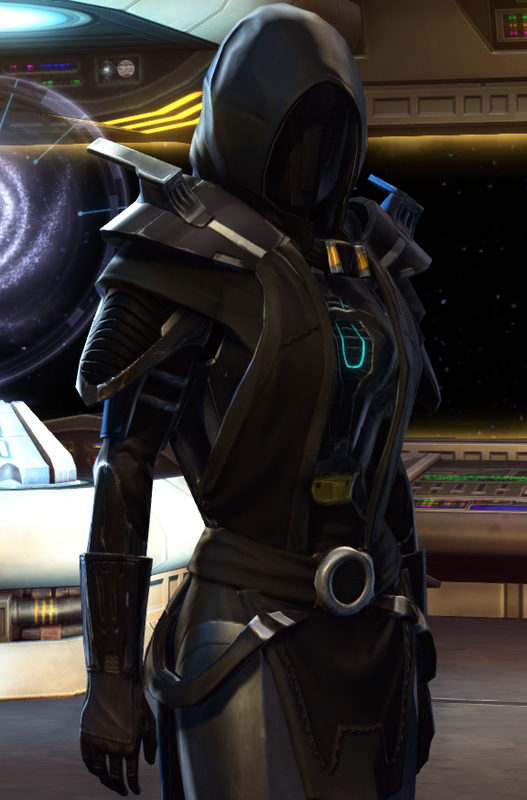 The left outfit is what i'm using as her main armour now, the V-shaped cape looks really cool. 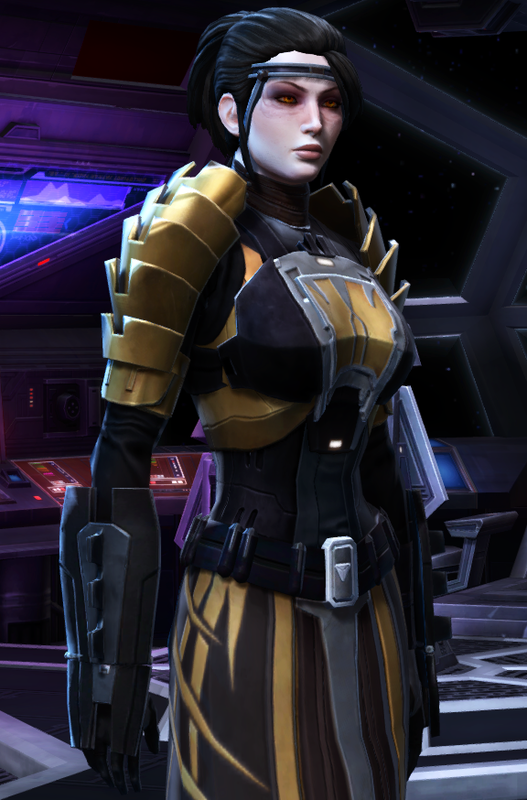 The right outfit is just something I came up with while trying to find a use for some old KOTFE-era gear I had, the gold looks very regal and sithy. A meeting for Jedi to discuss the happenings on Ossus would be great I think!